(CONCORD, CALIFORNIA, USA) VEP Healthcare, Inc. has contracted with Dignity Health – California Hospital Medical Center to manage the hospital’s intensive care unit (ICU). In addition, VEP will continue to manage, as it has for six years, the hospital’s emergency department services. In the ICU at California Hospital Medical Center, VEP will manage multi-specialty teams that deliver collaborative, coordinated intensive care. Intensive care consists of specialized medical and nursing services provided to patients facing life-threatening illness or injury. About 80% of all Americans will experience intensive care services either as a patient, family member, or friend during their lifetime. Examples of conditions requiring intensive care include heart attack, trauma cases, poisoning, surgical complications, premature birth, and strokes. 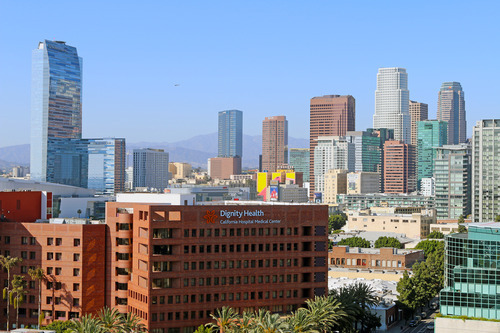 Founded in 1887, Dignity Health – California Hospital Medical Center is a 318-bed, acute care, nonprofit hospital located in downtown Los Angeles. The hospital offers a full complement of services including a Level II trauma center, Los Angeles Center for Women’s Health, obstetrics and pediatric services, and comprehensive cardiac and surgical services. The hospital shares a legacy of human kindness with Dignity Health, one of the nation’s five largest health care systems. Visit dignityhealth.org/californiahospital for more information.